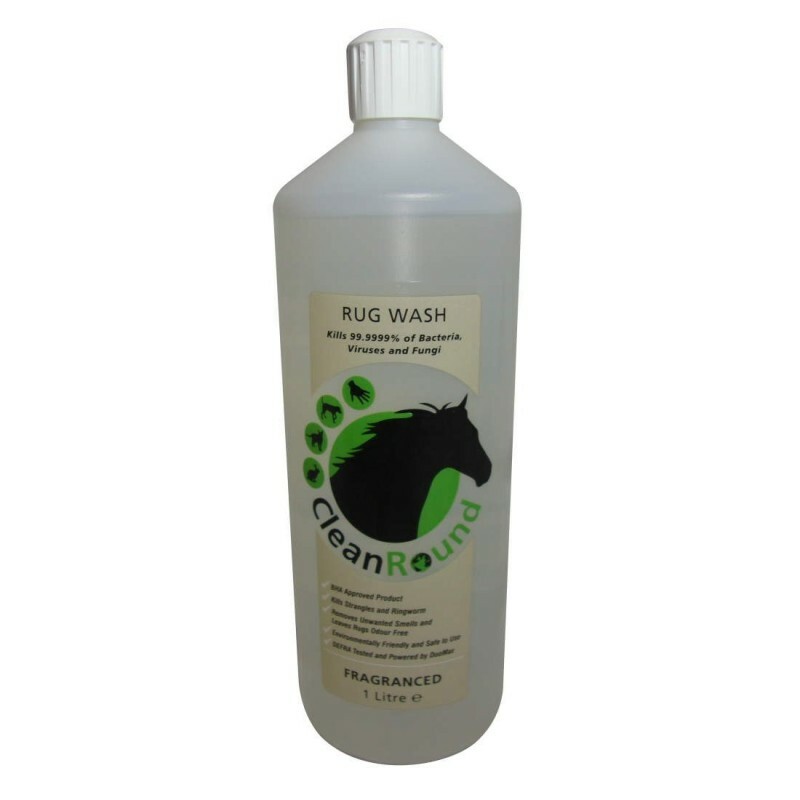 CleanRound Rug Wash can be used on all types of cloth and rug materials and will not effect waterproofing. This patented biocide/detergent has been tested and proven to kill 99.9999% of bacteria, viruses and fungi including the bacterium responsible for Strangles and the fungi Ringworm as well as many other viruses including MRSA, Ecoli, Salmonella and C.Diff spores. 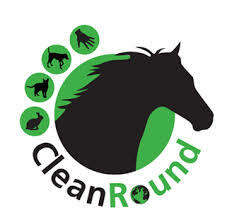 CleanRound Rug Wash contains no bleach or other products that may cause damage to anything being cleaned and is environmentally friendly and safe to use. This mildly fragranced product leaves items smelling fresh and clean. Use neat as a pre wash on stubborn stains and work in well. For normal usage up to 250ml in a washing machine or 50 - 100ml diluted with water in a large bucket for hand washing. Always check the washcare label re temperature on the product being laundered.